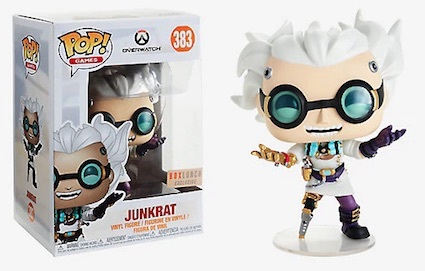 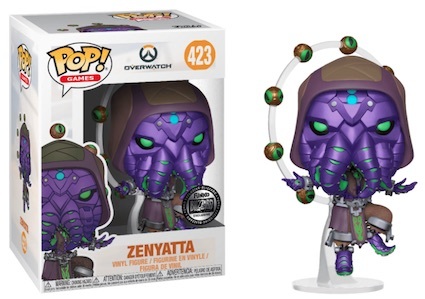 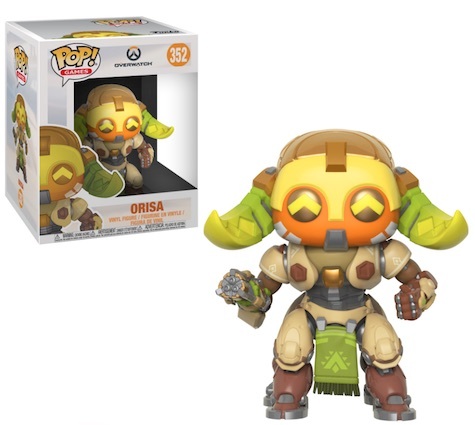 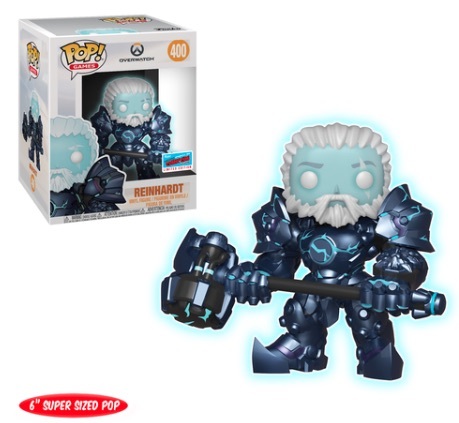 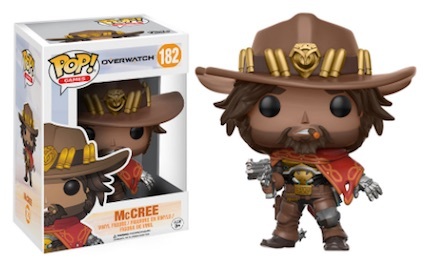 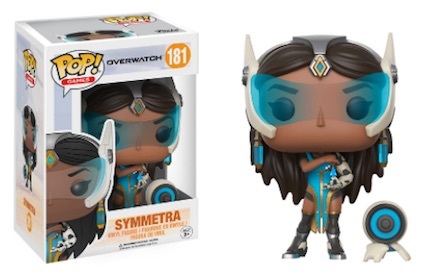 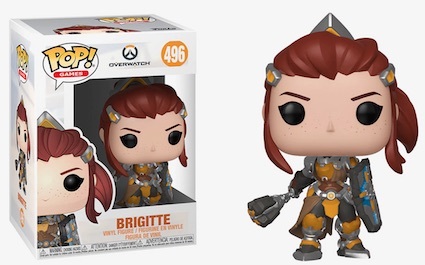 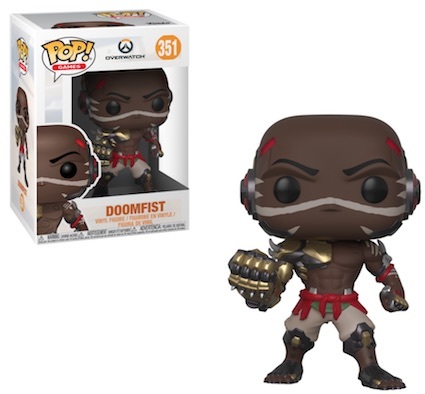 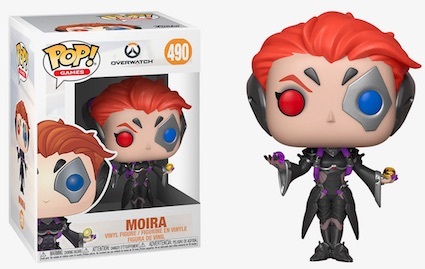 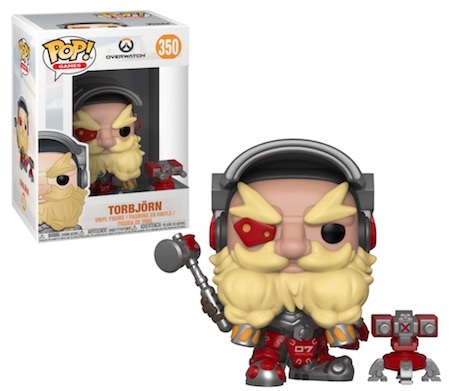 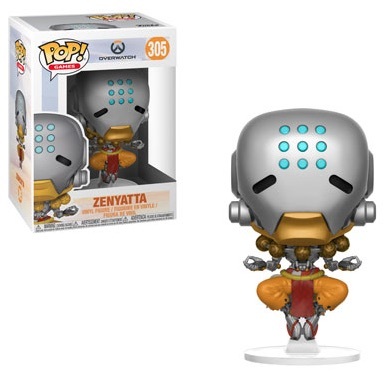 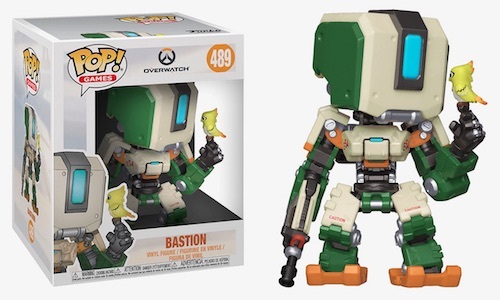 Funko Pop Overwatch takes a look at the first-person shooter video game from Blizzard Entertainment that centers around a future Earth under siege from omnics (robots). 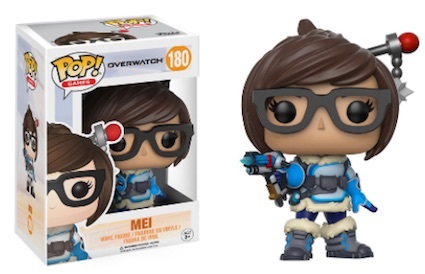 Featuring cooperative gameplay, several key characters are included in the Pop! 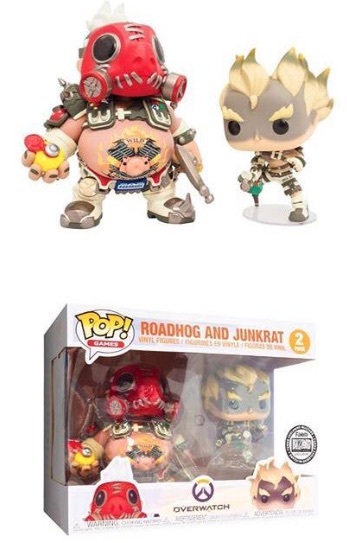 lineup as well as a variety of exclusives. 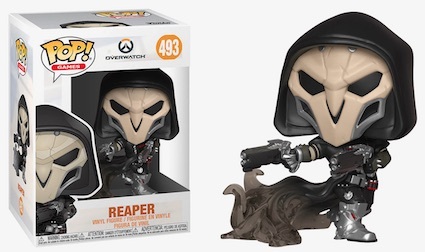 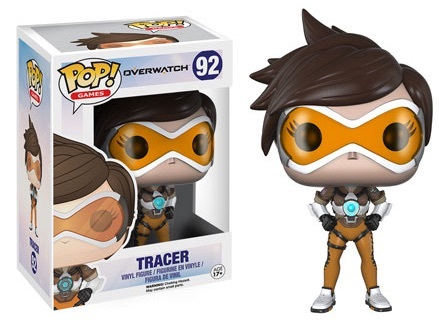 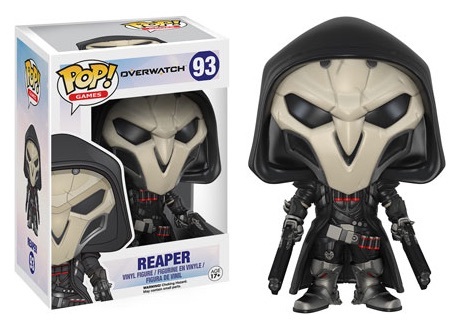 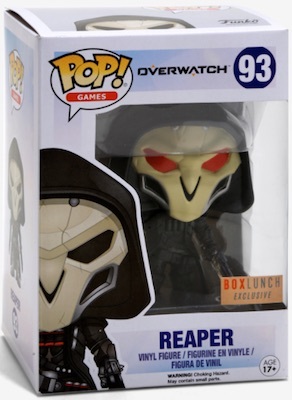 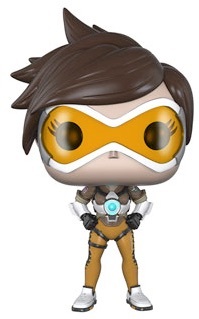 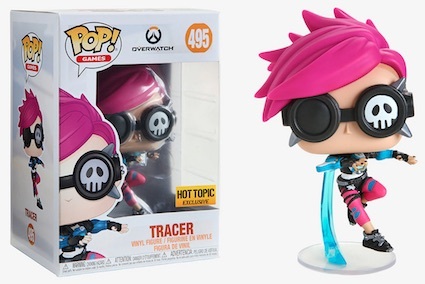 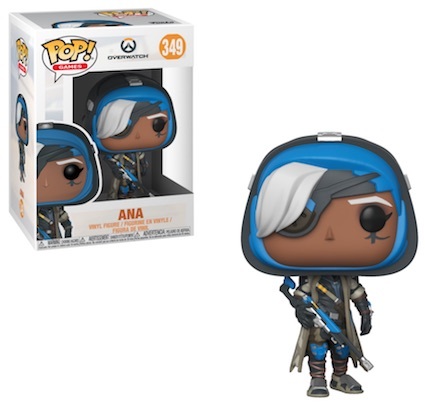 The first Funko Pop Overwatch series includes a test pilot in Tracer, an ominous mercenary named Reaper, and the lethal assassin Widowmaker. 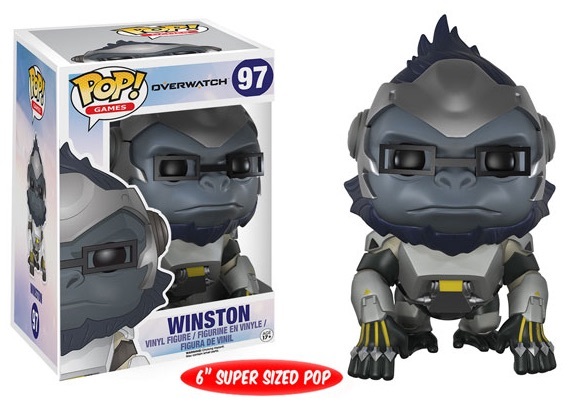 Collectors can also find a six-inch figure for Winston, the genetically enhanced gorilla, complete with square-framed glasses. 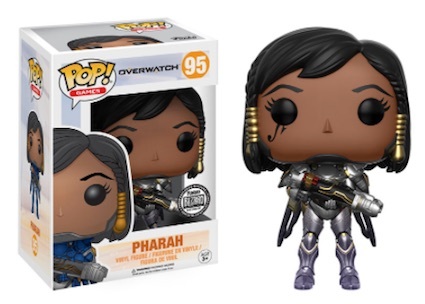 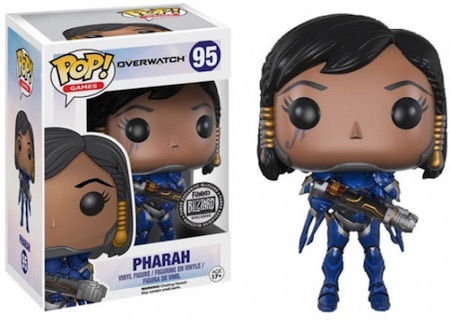 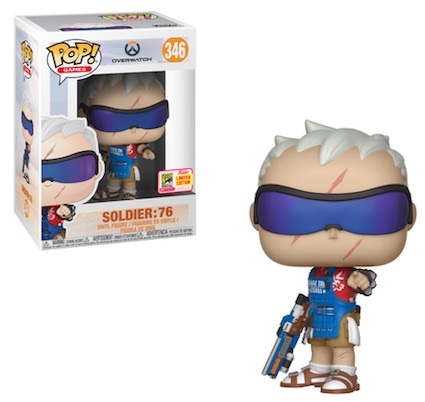 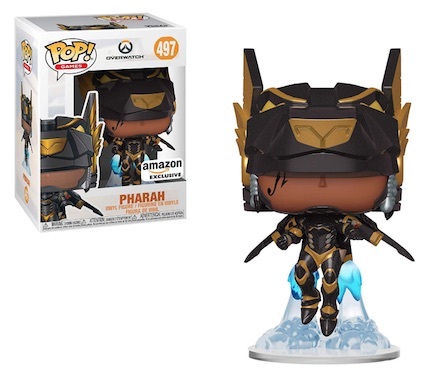 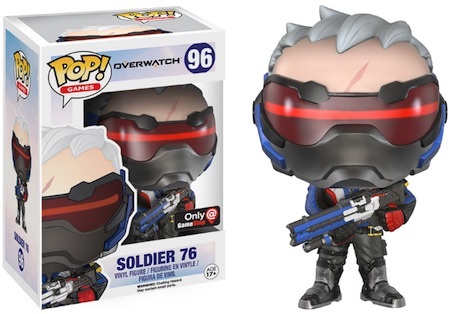 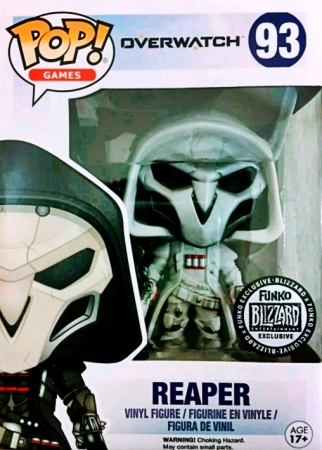 Exclusives include Pharah from Blizzard Entertainment and Soldier: 76 found only at GameStop. 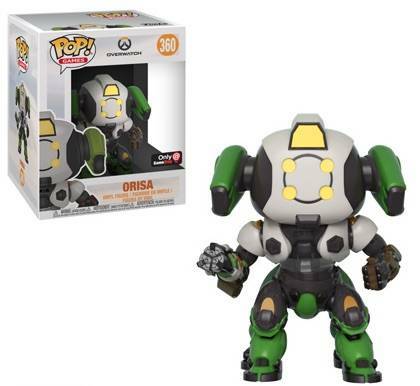 Most of the primary figures also have variants to track down. 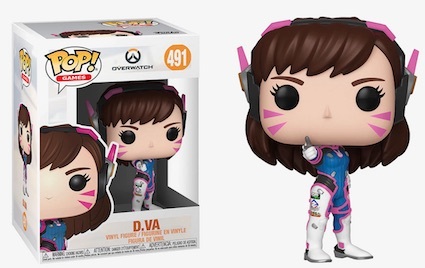 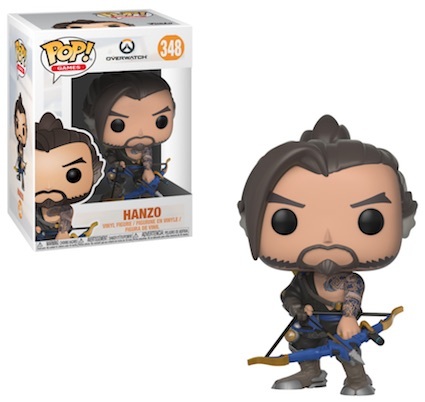 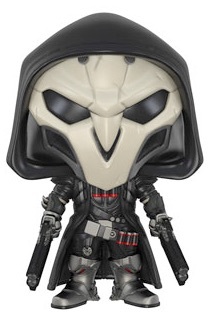 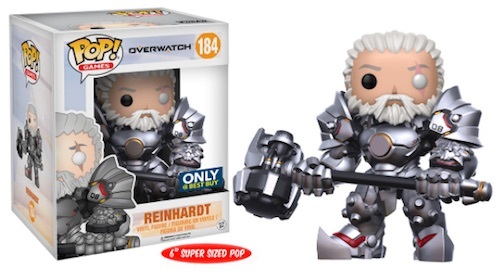 Order Pop Overwatch Figures at Amazon. 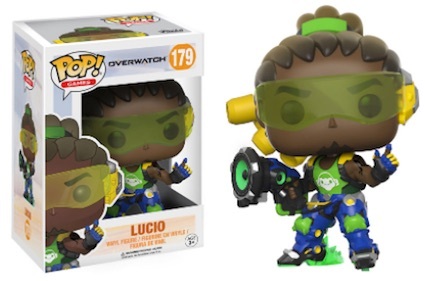 Wave 2 of Funko Pop Overwatch adds even more options, including Mei, Lucio, Symmetra, and McCree. 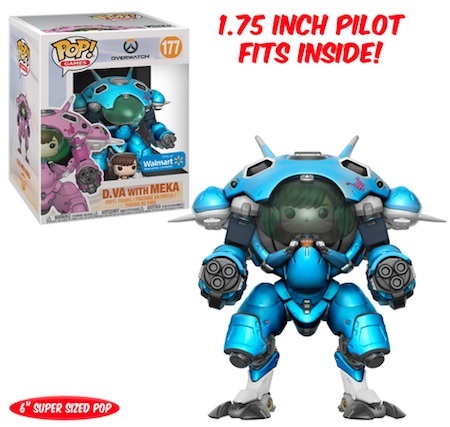 Six-inch, Super-Sized figures come for Reinhardt and Meka, which has a 1.75" D.Va figure inside. 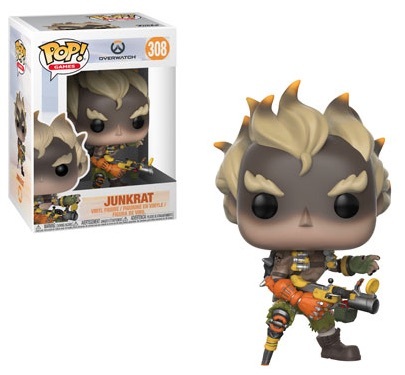 Providing some new faces, Wave 3 includes Junkrat, Mercy, Sombra, Zarya and Zenyatta. 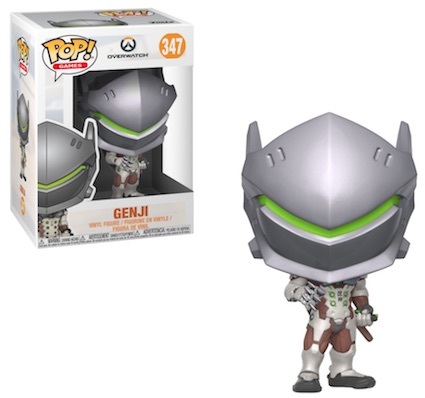 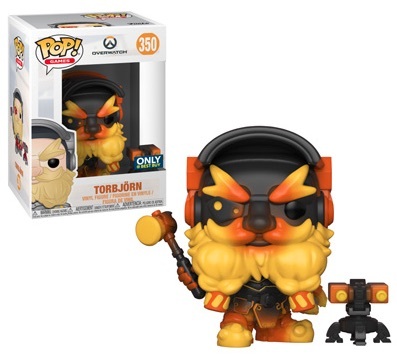 Funko Pop Overwatch Wave 4 expands the set even more, adding Genji, Hanzo and Torbjörn, alongside several retail exclusives. 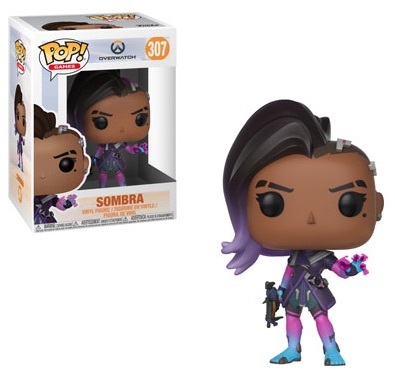 Leave a comment if you come across any missing Funko Pop Overwatch figures. 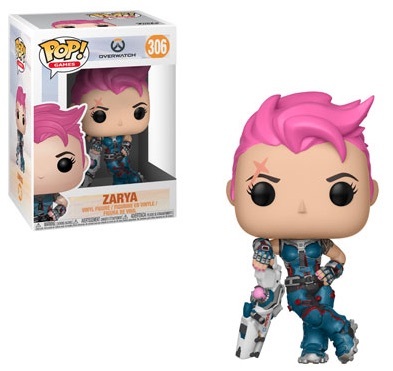 Click on the listings below to shop for specific figures on Amazon or eBay. 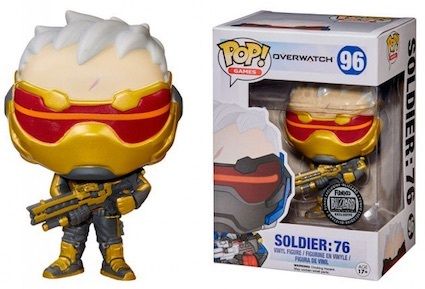 Update on the 2nd wave of overwatch pops. 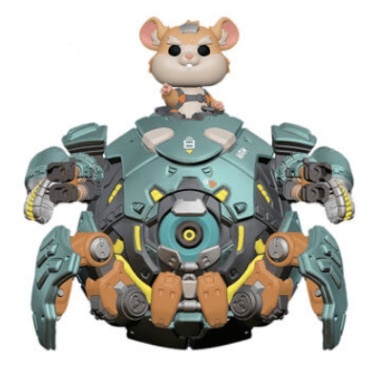 Its right. 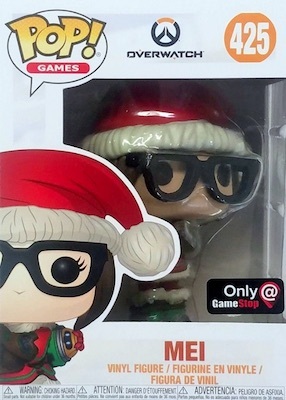 Thinkgeek sales at gamestop. 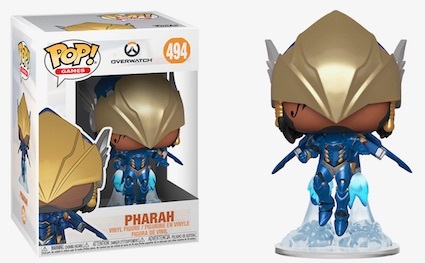 and Emerald Pharah was gamestop too. 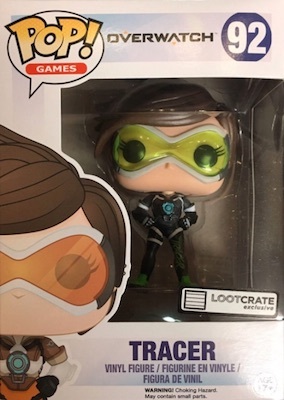 I got her there. 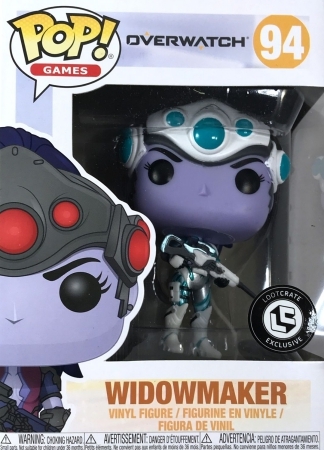 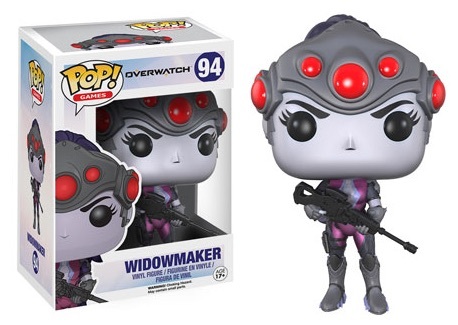 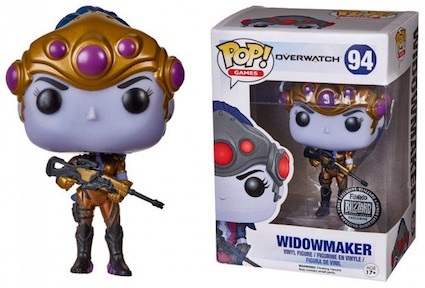 There is a white Widowmaker available from Lootcrate for November 2017. 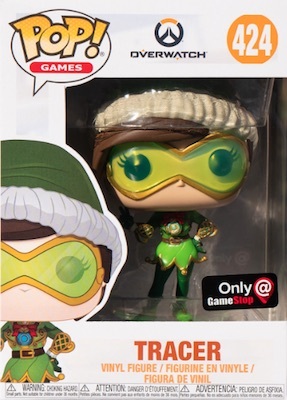 Hi Grayson, Funko did confirm via Twitter that there will be a Wave 3, however, they have not yet made an official announcement. 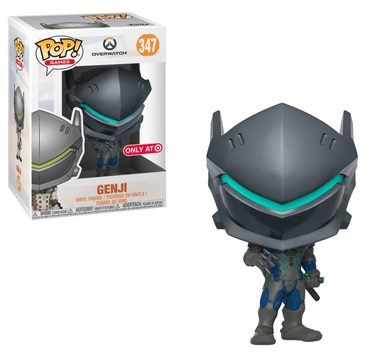 Once they release more information, we will update the guide. 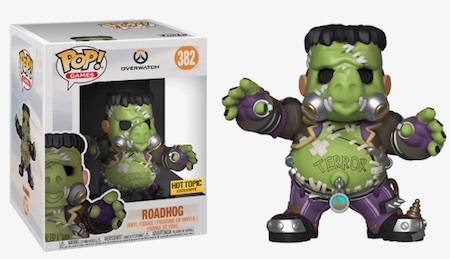 Wave 3 announced. 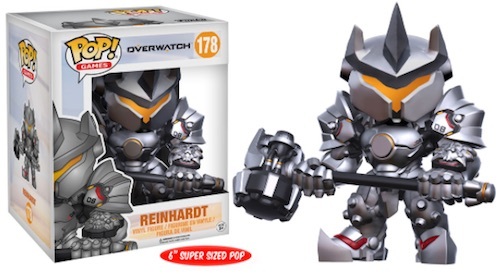 Mercy, Zarya, Zenyatta, Junkrat, Sombra, 6″ Roadhog. 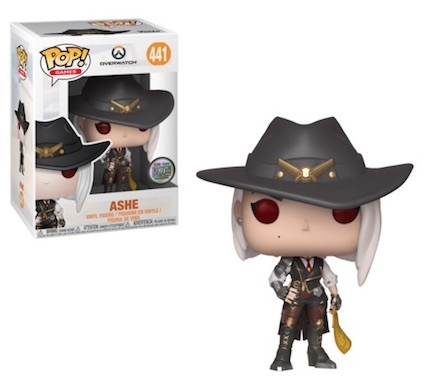 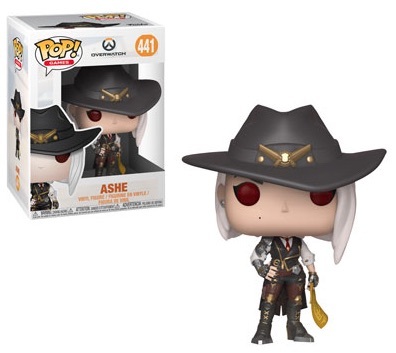 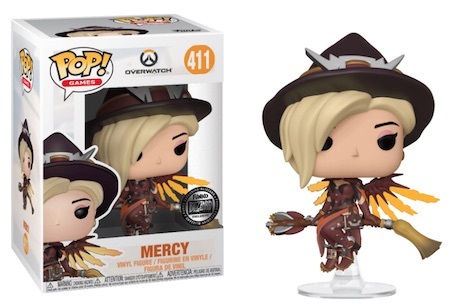 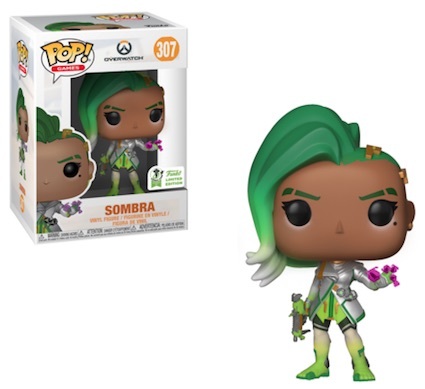 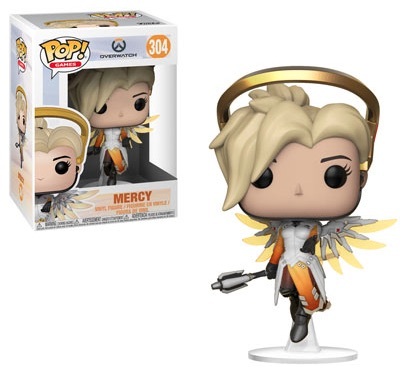 Rumored to also have a different variation Mercy, GameStop exclusive. 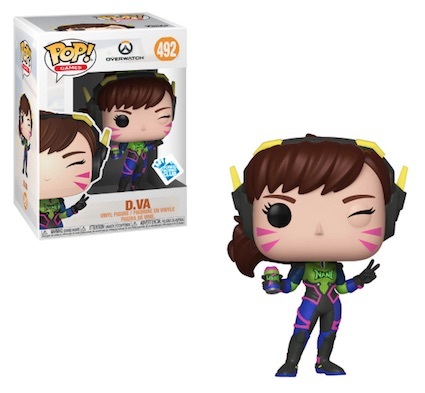 Blueberry D.Va was just officially announced at Toy Fair. 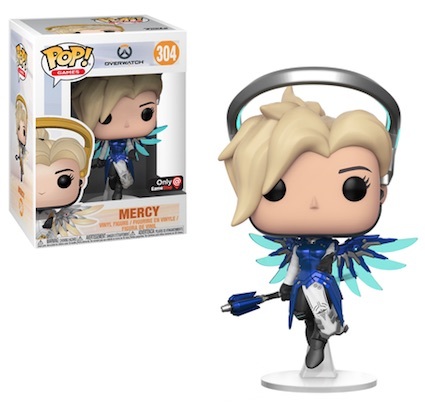 However, it is a variant of a Wave 2 figure and grouped there to keep the figures in numerical order. 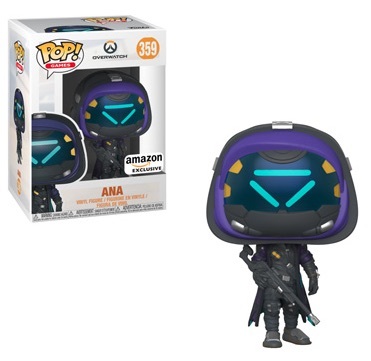 Are you able to update that? 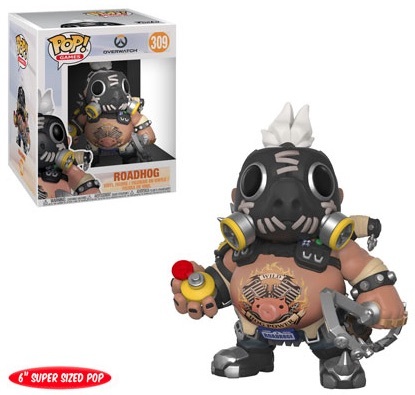 There is also the Junkrat Roadhog Jailbird 2 pack from SDCC 2018 that is not on this list for wave 4. 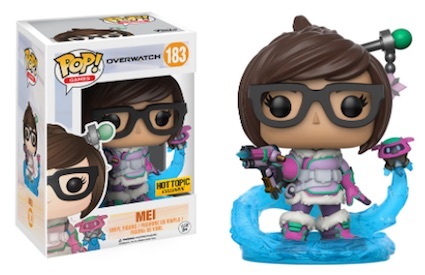 Also a winter wonderland box with Mei and Tracer is on pre-order at GameStop. 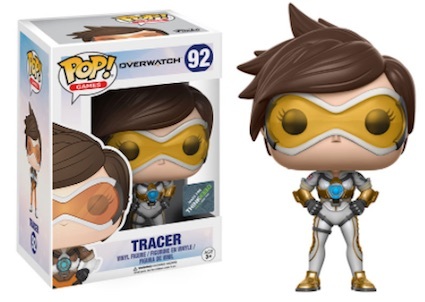 This list needs updating, Punk Tracer and Nano Cola Dva are available.